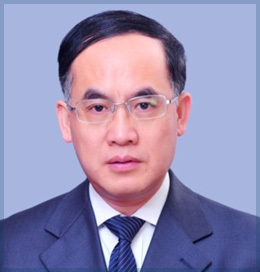 Prof. Zhifei Liu has worked as a plastic surgeon for nearly 30 years. The main focus of his clinical work has been treatment of scars and, especially difficult scar repairs, for nearly 20 years. Prof. Liu is the first to apply autologous skin living cell transplantation technology in keloid treatment, which obtained satisfying clinical effect and widened the options of keloid treatment. Besides, his other specialties are facial rejuvenation, injection cosmetology, breast cosmetology and tissue reconstruction. He also achieved a lot in repairing wounds and superficial tumors which has also been reported by national medias. Prof. Liu also made the first application of autologous skin living cell transplantation and regeneration technology in the treatment of vitiligo in China and formulated the process and guidelines. He is also in responsible and takes part in many scientific projects supported by National Natural Science Foundation, the Beijing Natural Science Foundation and College foundation. He is the author of several publication international and Chinese journals.